While many know about Bermuda's famous pink sand beaches, this historic island has a recipe for so much more than just a typical beach vacation. 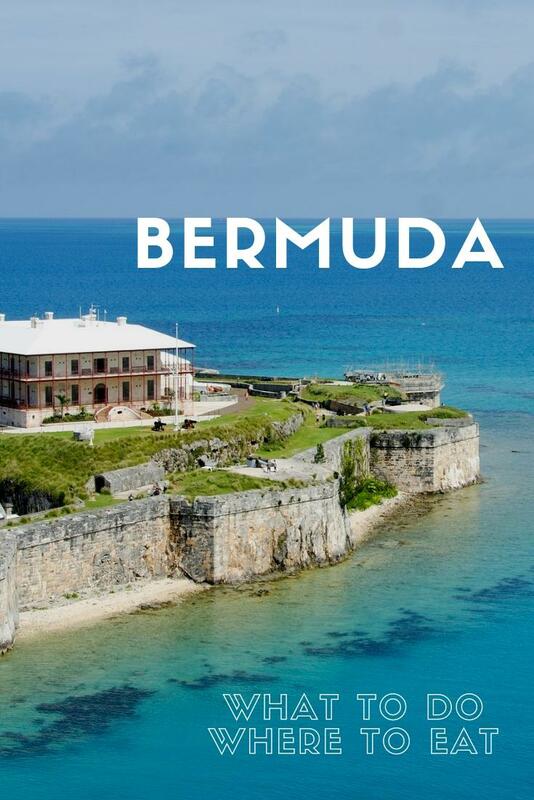 First, throw in some interesting colonial history and architecture, as Bermuda was a British colony dating from the 1600's. Then, mix in some fascinating underwater adventures, from snorkeling and scuba diving to the world-class science and marine life museum. Next, add a dash of delicious dining experiences including world-famous chefs. Finally, blend in a variety of uniquely fashionable clothing styles at amazing shops all across the island. The finished product is what makes Bermuda special. Once you experience this island, you'll never want to leave. Visiting Bermuda is quite easy, whether you plan to stay in a hotel or visit on a cruise ship. In the middle is the large town of Hamilton, which provides every amenity a traveler could want from hotels to restaurants to shops to museums. 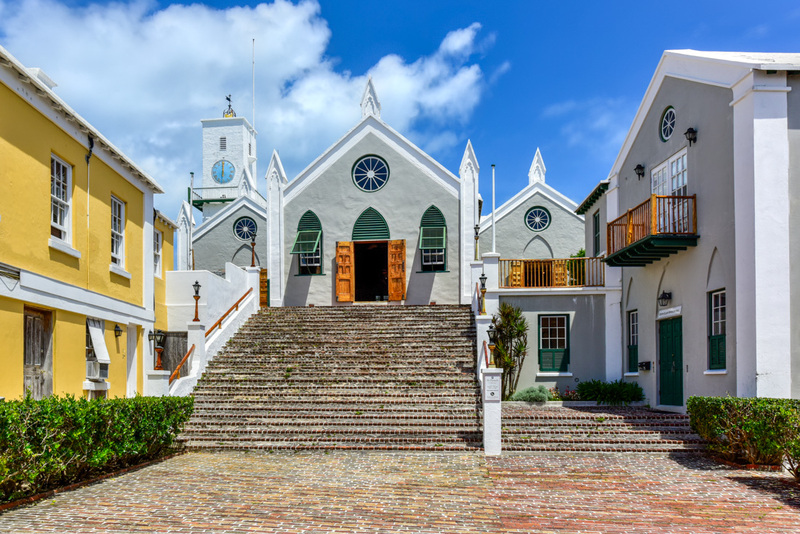 On the east end is the historic town of St. George, while on the west end is the Dockyard, and both have plenty of activities to offer for visitors. Beaches can be found around the island, of course, but once you see what else is offered, you'll have a hard time sitting still. Listed below are a number of activities, along with shopping and dining options. If you're planning to visit on a cruise, such as one of Celebrity's cruises to Bermuda, many of these activities can be experienced as a shore excursion, too. Looking beyond those world-famous pink sand beaches, it's no surprise that scuba diving and snorkeling are popular activities in Bermuda. With plenty of warm weather and clear waters surrounding the island, you'll want to spend a little time on the beach and then dive right in and make some new underwater friends. A variety of diving and snorkeling companies can take you out into the water in a boat, or you can head in straight from the beach. One popular beach location is at Snorkel Park Beach at the Royal Navy Dockyard on the western end of the island. This beach area is open to the public, and visitors can rent snorkel equipment. Then, head out into the water to see a nearby coral reef with plenty of fish in the shallow, blue waters just off the beach. Other watersports equipment can be rented here as well, such as kayaks, paddle boats, jet skis, and more. Nearby restaurants and bars also provide meals and entertainment. Elbow Beach near the eastern end is another popular spot, as it's said to be the pinkest of the pink sand beaches. Here you will also find watersport activities mixed in with some nearby bars and restaurants. Horseshoe Bay Beach is also one of the best on the island with pink sand and crystal clear waters. Open to the public, centrally located, and with great access to transportation, this is also an easy beach to visit. Various water sports equipment is available for rent here, too. Also, Gibbs Hill Lighthouse is nearby, which makes for a fun walk if you're up for it. The views are terrific. Tobacco Bay Beach is another of Bermuda's best beaches. Here, a scenic and calm lagoon is surrounded by cliffs and rock formations creating a stunning backdrop to a relaxing beach scene. Like other public beaches, equipment is for rent and a variety of bars and restaurants are within reach. The Bermuda Underwater Exploration Institute (BUEI) is home to a number of activities, and one of the best is the Ocean Discovery Center, where visitors can learn all about the ocean environment and marine life. This museum is great for both kids and adults! Various exhibits help educate visitors about underwater creatures through interactive exhibits such as a shark cage, diving simulations, sailing games, and more. BUEI also has an amazing Bermuda Triangle exhibit on display as well. Have you ever wanted to get face to face with a dolphin? Well, now is your chance at Dolphin Quest! Get up close and personal with these friendly sea creatures in their protected ocean-water environment at the Royal Naval Dockyard on the eastern end. Kids, of course, will love it. Get your swim trunks on and get down into the water to meet the dolphins, touch them, and learn more about their amazing abilities and the environment they live in. The insiders know Bermuda the best, and that's why you want one with you. Take one of these specialty tours to discover the hidden gems of Bermuda. From secluded beaches to caves to special swimming holes that no one else knows about, the guides will take you on an amazing eco-adventure tour like no other! Inside of some very interesting Bermuda caves are multiple gorgeous, clear, blue pools of water. 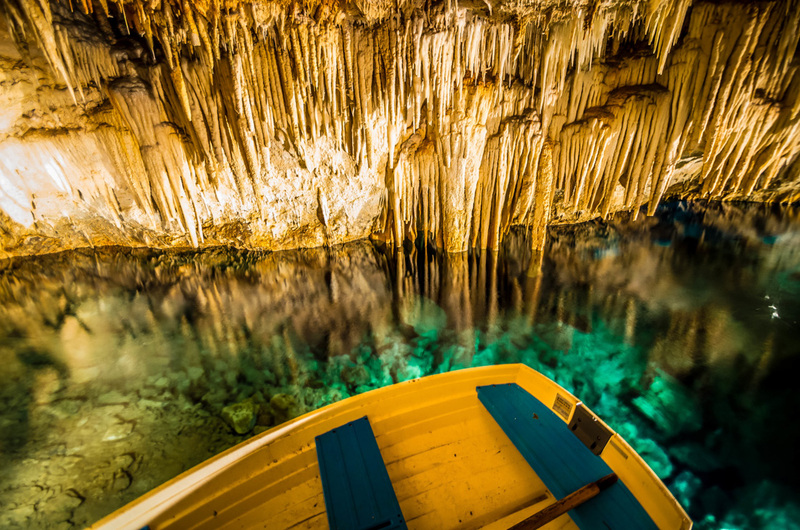 Exploring these caves is a must-do activity in Bermuda, and kids love it, too. The caves themselves are full of interesting rock formations, while the water will sparkle and light up the various cave rooms. Several options are available, including guided tours. Basic tickets at the entrance are $22 for adults and $10 for children. For more info, check out www.caves.bm. 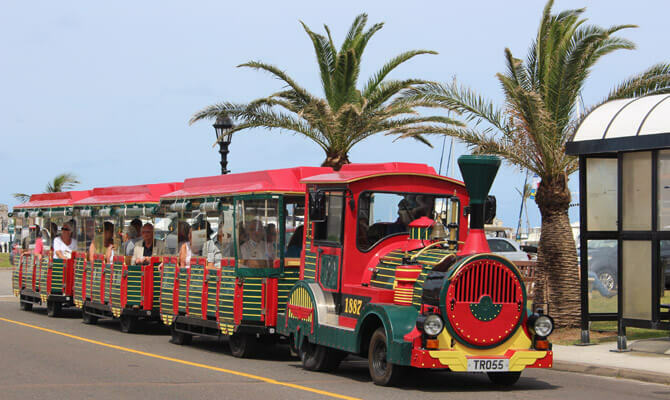 Several companies offer a hop-on-hop-off tour of Bermuda, and one of the best is the Bermuda Train Company. With multiple routes around Bermuda's best sights and activities, you can see everything you want with convenient, safe transportation and a nice tour guide along the way to provide interesting and helpful information. If you're coming off of a cruise ship, this is a great way to see the island. Just hop on! On the eastern end of the island is the oldest continuously inhabited English settlement in the new world. The old town of St. George, now a UNESCO World Heritage site, is full of historically charming buildings, cobblestone streets, museums, restaurants, homes, churches, art galleries, and more. At least a few hours could be spent in this area, if not a whole day. During the summer months, actors dressed in historical clothing roam the streets to bring history to life. You can even find someone in the gallows. Bring your camera! 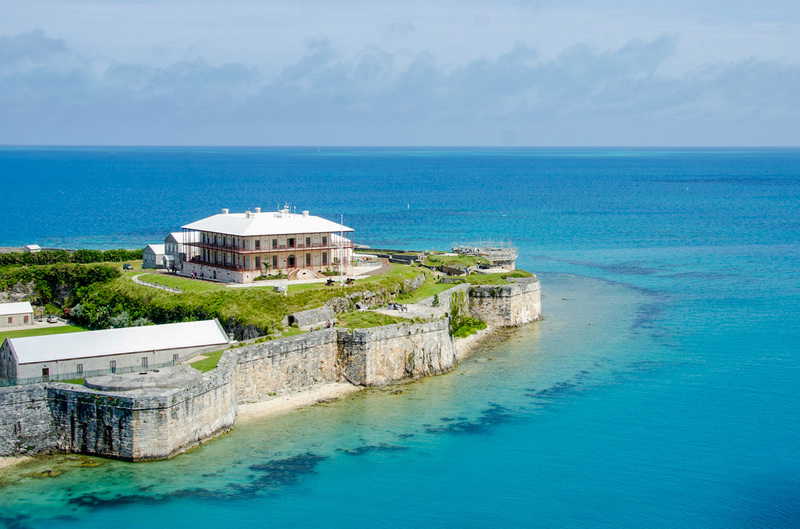 This historic fort, located near St. George, is now a museum showcasing a variety of historical items and weaponry from Bermuda's interesting past. In addition to the museum, the fort itself is in a well-preserved condition and makes for an entertaining walk around the grounds. This historic and restored building on the west end of the island provides a terrific atmosphere for the multiple activities found here, not to mention all of the shops and restaurants. What was once a secured fortress is now open to the public, so just head inside to find a variety of interesting shops. From the best clothes at local boutiques to stores selling local crafts, jewelry, artwork, furniture, and more, there is something for everyone. Check out Dockyard Glassworks for interesting art, A. S. Cooper and Sons for great clothing, or The Littlest Drawbridge for interesting souvenirs and gifts. A good stroll around Bermuda's capital will no doubt provide you with plenty of shopping inspiration, as the town's streets have many stores to choose from. Visit Atelerie for some great women's clothing, or Coral Coast for a nice men's shop. And if you're looking for those famous Bermuda Shorts, check out TABS on Reid Street. Finally, the generically named Island Shop has plenty of accessories, none of which you will find generic. In the historical town of St. George, on the eastern end of the island, are a variety of shops that are home to local artists and craftsmen. Paintings, prints, jewelry, pottery, and more are not only on display but also for sale to the public. Make this part of your excursion around St. George while you're in the area. Offering a number of salads, sushi, and sandwiches, this restaurant is a great place to stop if you're strolling around Hamilton. Serving unique fried fish sandwiches with an interesting recipe, this Hamilton restaurant is also not to be missed. Even though you're in Bermuda, why not try some Middle Eastern fare at Cafe Cairo? Here you'll dine on comfortable cushions from another part of the world, even though you're on Front Street in Hamilton. If you want to stay late, this establishment turns into a nightclub with dancing until 3 a.m. This is one of Bermuda's original pubs, and now it has several locations. The original is on the east end of the island. Known for the Rum Swizzle, along with some great food, this establishment is a must-see if you're planning to eat while on the island. And who isn't? Located in Hamilton (near BUEI), great views of the water are to be found as you dine at this fine-dining seafood restaurant (with a casual dress code). Land lovers will also find their steaks and Italian menu choices to be top-notch. Famous chef Marcus Samuelsson has appeared on TV shows such as Top Chef, and now you can eat his food at his namesake waterfront restaurant. The menu is inspired by both British and African cuisines, and you won't be disappointed. This article was done in partnership with Celebrity Cruises, though all opinions are from the team at BudgetYourTrip.com.